Join Art of the Book juror Jan Elsted as she looks at a selection of books from Barbarian Press’s title list and speaks about the private press movement from the late 19th century to now. This workshop will focus on design, technical features, and aesthetics. 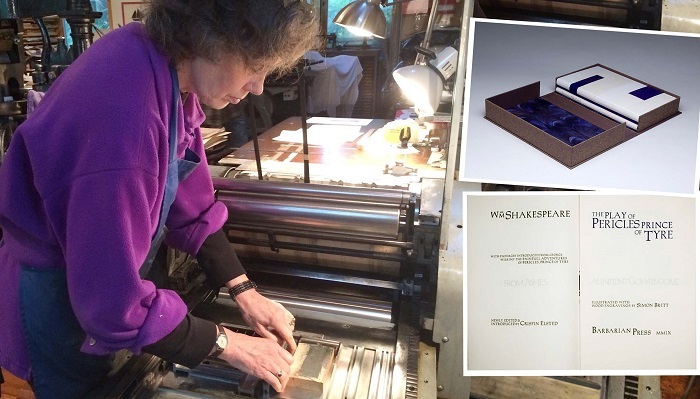 Jan will describe the making of Barbarian Press’ 2011 edition of Shakespeare’s Pericles and the press’s current project on wood engraver Richard Wagener. Jan will share mockups, proofs and original woodblocks in her presentation.